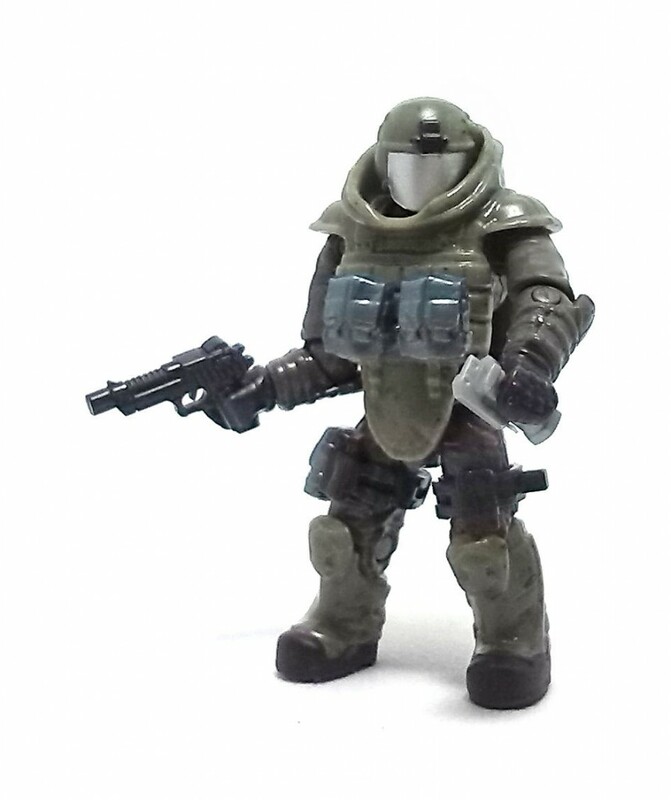 One popular play mode in most modern First Person Shooter games is “Juggernaut”. You can find it implemented in the Halo and Call of Duty games, although it is also featured in many other game series. 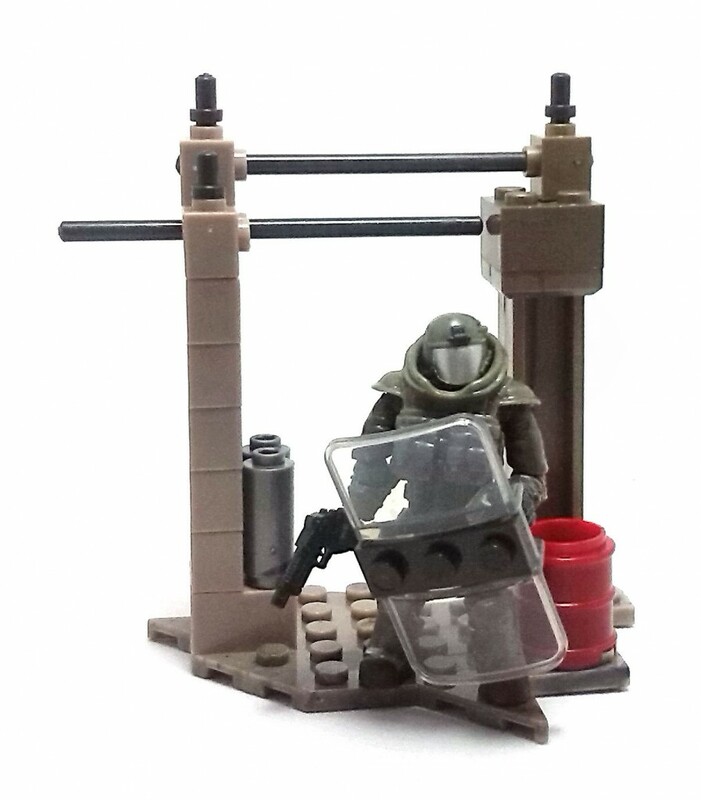 Mega Bloks decided to offer a small set loosely inspired by this game mode in their 2014 Call of Duty assortment; this Juggernaut set consists of 47 pieces, enough to build a small piece of terrain and a fully equipped Juggernaut soldier. 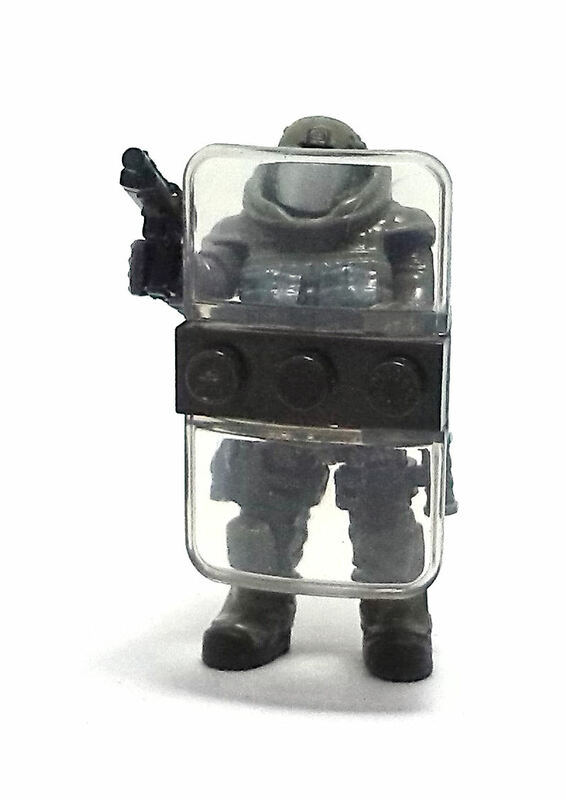 Putting the figure together is fairly straightforward, although in some production batches most of the figure comes pre-assembled. 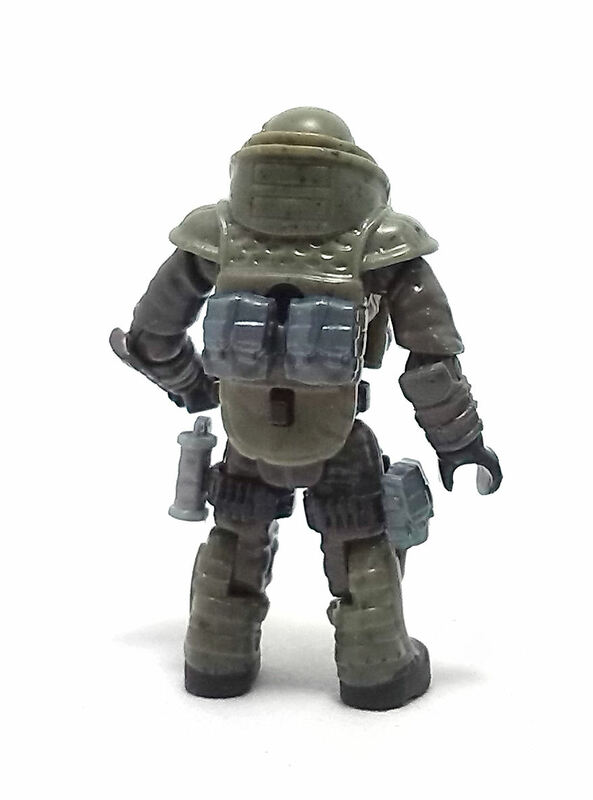 The level of details sculpted onto the gear and the figure itself is quite nice, and even though the paint operations are rather basic, they are very neatly applied. These Call of Duty figures have hardpoints to attach a variety of accessories; in the case of the Juggernaut, he comes rather lightly armed with just a handgun and a grenade but there is also a nice riot shield and four identical ammo pouches, which could be swapped out for the extra gear from other CoD sets. 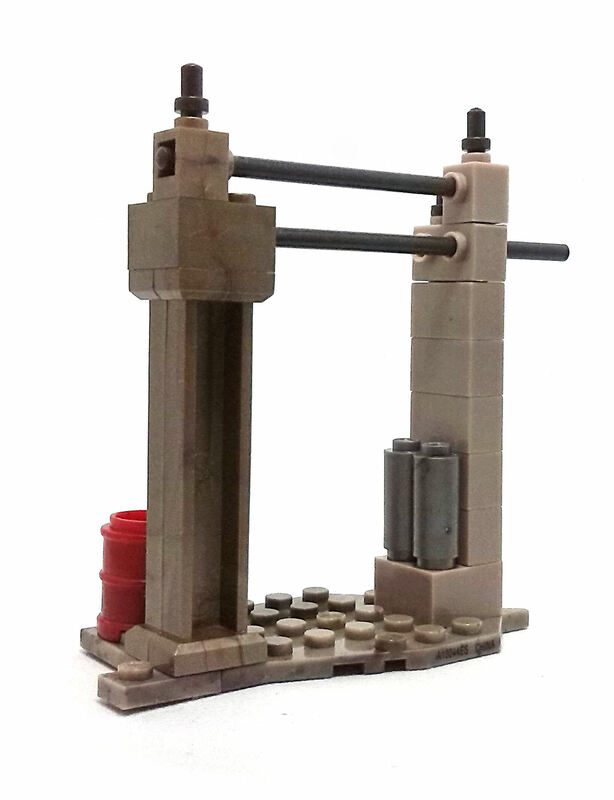 The terrain piece included is very simple and not particularly stable; the section of ground where the red barrel sits is held only by one stud, making it easy to bump off. Despite that , the set contains some interesting building elements like a aforementioned barrel and the girder, as well as a handful of stone-like bricks. 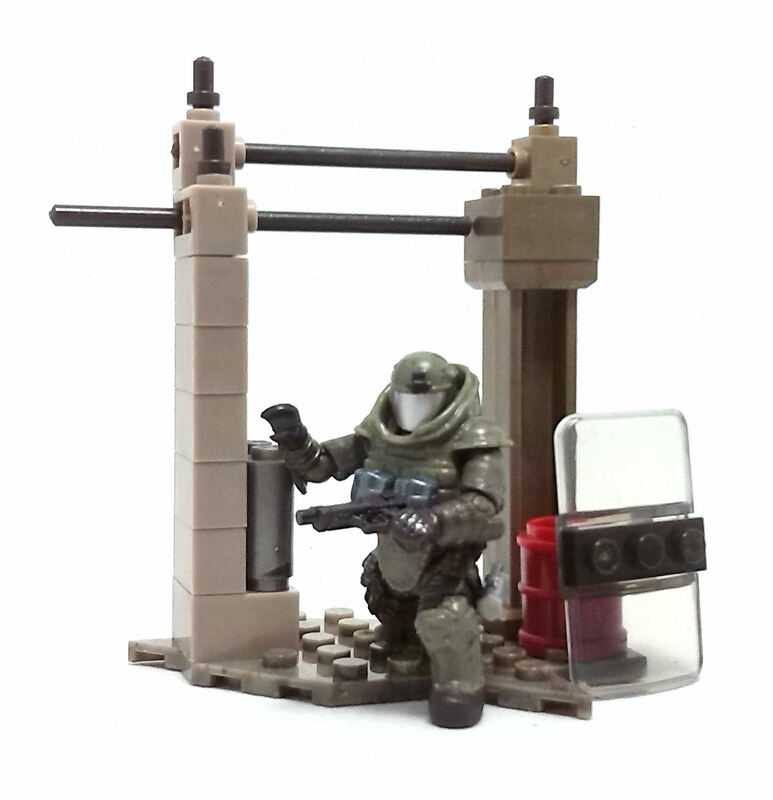 Overall, small sets like these tend to have a rather high coin-to-brick ratio, although the inclusion of the rare EOD figure in this set helps to even things out, in my opinion.